Where is the Hope in Christmas? There's a scene I've played over and over in my mind for the last 12 years. My life is done, I enter Heaven and after I meet Jesus, He says, "There's someone who has been waiting to see you." And He steps aside. And there she is. And she comes running to me. I have no idea how this will actually play out one day, but I do know this: my heart longs for it. Physically longs for it. I have no intention of rushing this life, but some days just the thought of holding her again is more than I can bear. And this beautiful, joyous life can be so hard sometimes because part of me died the day she did. And while I live in the fullness of joy as best I can, my life on this earth will never be complete without her. That's just the cost of death. It's a thief and it takes the people we love and then leaves us here, and when the balance shifts like that, it can never be fully restored here on earth. And you believe the verses that the pain is only temporary and "joy comes in the morning" but the morning hasn't come and the nights are just so dark. And you believe that one day he'll "wipe away every tear" but that day hasn't come, and some days you cry so many tears that your buckets could cause a flood. Some of you are there today, staring down a Christmas Eve that should symbolize HOPE but as hard as you search, you just can't find it. And you know all the verses, and you really do believe, but you just miss that person so much that you can't will yourself to do it. I won't give you Christian cliches. They aren't worth the paper they are written on to someone who is grieving. I won't tell you it gets easier. I won't tell you that if you just believe, it will all make sense one day. But I will tell you this: if you will just continue to put one foot in front of the other - however painful it may be - He will meet you there. In your pain, in your grief, in your darkness. And at first, you may not feel Him there. I didn't either. But as you continue to move forward, you begin to see it. You believe to feel it. And while it doesn't "fix" everything, you begin to breathe again. And slowly, that tiny sliver of HOPE manifests itself in your heart. And while it doesn't make sense, and it may never make earthly sense, you grab hold of it because it's all you have. And it's the greatest gift you will ever receive. If you are hurting this Christmas, my heart grieves with you. It may be hard for you you to reconcile in your heart how you are supposed to live this day with joy and happiness, when all you feel is pain and sadness. There is no magical fix. And as hard as you desperately try to find that joy, grief and pain keep creeping their way back in. If that's you, my prayer for you over this holiday is simple: that this HOPE will take root in your heart even in the tiniest of measures. Just a speck, just a faint glimmer. It doesn't have to be much. That's the miracle of Christmas. He can take the tiniest bit of HOPE and turn it into something we could never have imagined. He does the work as we open our heart to the notion that this life - however broken it may seem - IS worth saving. It IS worth living. It IS worth savoring because that joy doesn't come from us. It comes from something so much bigger. A God who is so much bigger, who can take that pain and redeem it, if we can just hold on and believe. If we can just conjure up that tiniest bit of HOPE. I bought this a few months ago at a local store in town. It's "my word" and it has been since we lost our daughter. It sits on my bedside table; a constant reminder that there is still joy to be found, love to be found, and most importantly, HOPE to be found in this life. I can't do it on my own. It's Christ power at work in my life and my heart that allows me to live in joy, despite my grief. It didn't happen overnight. 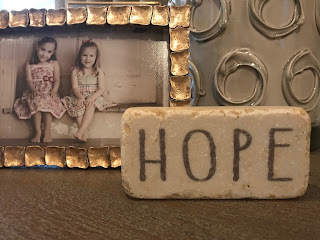 And on the days where the greatest thief of all wants to steal that HOPE, I am reminded of my favorite verse and I "hold unswervingly to the hope we profess, for he who promised is faithful." (Hebrews 10:23, NIV). Or as The Message translates it, "Let's keep a firm grip on the promises that keep us going. He always keeps his word." I don't have to do the work. It's already been done. I just have to grab hold of that HOPE - even on the days I waver and doubt - because He IS faithful. He can bring life and love and joy out of pain and loss and darkness. He promises to bring something good out of your pain. And when you lose someone you love, that sounds like the most absurd statement of all. Where in the world is the good in losing someone I desperately loved? How does that even make sense?? I argued with God over that one more times that I can count. And then, one day, Hope steps in. And while you still grapple with why He had to use something so deeply painful to you, you begin to see glimpses of Him at work. So as we await that HOPE during this Advent season, grab on to it for dear life. Even if your grip is barely holding on, His grip is tighter. Even if you don't believe, He believes in you. Even if you are angry at Him and questioning why in the world He is leading you down this path of grief and hurt, He hears you. I've experienced all of those emotions. They are natural and they are normal to people who are hurting. Even so, this is what I believe. Grief doesn't have to steal your joy. It doesn't have to steal your happiness. It doesn't have to steal your life. And it doesn't have to steal your HOPE. Grieve, this Christmas season, for that person you love. That person you would give anything to just have five more minutes with. Grieve because it is natural and it is healing and it is cleansing. And as you grieve, grab on to HOPE as best you can. And let the One who promised to one day "wipe away every tear" begin that work now. During this Advent season, I am most grateful for that. I hold on to it with everything I have. It was an honest mistake. And over the last ten years, it's been a common occurrence. "Hi, Melissa," the woman began. "I just want to introduce myself." And she launched into a conversation that eventually thanked us for creating the Melissa George Neonatal Memorial Fund because it had recently helped someone she loved. It happens all the time. At the grocery store. At sporting events. At the mall. I never correct them, unless they ask, "Aren't you Melissa George?" to which I always answer, "Actually, I'm her mom, Amy." The look on their faces says it all. They are embarrassed. They are worried they've upset me. They can't believe they just called me by my daughter's name, the daughter who passed away ten years ago. In reality, they paid me the greatest compliment in the world. Not because they called me Melissa, but because they said her name. You have no idea what a gift that is to parents who have lost children. My daughter was a living, breathing person. She had a body. She had a mind. She had a soul. She was my first born. She was named after me and my sister. She was the child that Chris and I had dreamed about and prayed for. And she had a name. Melissa Suzanne George. Grief is such a tricky thing. No one ever knows what to say. And sometimes we dance around the name of the person who died. If I say it, will I upset the parents? Will I dredge up painful memories? Isn't it better to not say it at all? I often receive phone calls and emails from friends of people who have lost children. They never know what to say and want to know if I can give them any insight. I wish I had a road map of how to travel the road of grief and loss, but there isn't one. There is no instruction manual on how to reach out to a person who has lost a child. But there are three things I know in my heart. First, don't feel compelled to say anything at all. Just hug them. Love them. Let them cry on your shoulder. And when you do speak, just tell them how sorry you are. And let them know you are there for them. Never, ever tell them you know how they feel. Did you hold your child as they took their last breath and slipped from your arms into the arms of their Heavenly Father? If not, then you have no idea. Please don't act like you do. Lastly, say their child's name. By doing so, you are acknowledging their child's existence. That name, the one they probably spent months choosing, belongs to their baby. The child they created, the child they miss with every fiber of their being. Use that name. Say it out loud. I can't tell you what that means to a grieving parent. And not just in the days or months after the child's death, but even years later. When people speak my daughter's name, it heals my soul. And what about those who accidentally call me Melissa? They often profusely apologize and as I assure them it's okay, I often tell them, "Please, don't be sorry. You've actually paid me the greatest compliment you could pay me." I am honored to be associated with her. She was the bravest, strongest person I ever knew. Our words have power. Names mean something. For those who have lost children, that name carries a meaning that you can't even imagine. It's a lasting reminder of who their child was. Don't be afraid to say it out loud. It's funny what the mind remembers. I was working out this morning and the song "100 Years" by Five for Fighting came through my headphones. That song always takes me back to my hospital room in the spring of 2005. It was part of a Capital One commercial and it played over and over again on the television. I was a captive audience because I was on bed rest at Huntsville Hospital awaiting the birth of my twins. Every time I hear that song, I flash back to my hospital room. I was lifting weights when it came on today and as I thought back to the girl in that hospital room, my first thought was "Well, Amy, you made it. You survived." As I looked in the mirror at this body that I'm trying to get back into shape, I thought, "But, you still bear the scars." I bear the physical scars of having children. The actual physical scar of having two c-sections. The scar of having a stomach that no matter how many sit-ups I do, just won't go back to it's "pre-baby" stage. Those are the scars I can see. But they don't even compare to the scars I carry inside. I carry the scars of trying for almost two years to get pregnant, always ending in disappointment. I carry the scars of my doctor looking me in the eye during my 18th week of pregnancy and saying, "I'm not going to lie to you, Amy. This is as bad as it gets." I carry the scars of being moved to a hospital room and being told, "You aren't leaving here until those babies are born." They weren't due for 22 more weeks. I carry the scars of being wheeled into an emergency procedure on that very day to try and save Melissa's life. I carry the scars of being told that even though that procedure was successful, they had no way of telling me if Melissa would live or die. I carry the scars of being told that if Melissa did start to struggle, and they had to take her, they would have to take Ann Catherine, too. And she wouldn't survive either. I carry the scars of a nurse coming in my hospital room each morning to do an ultrasound on Melissa just to "make sure her heart was still beating." I carry the scars of laying in a hospital room all day and wondering if this was the day it would stop beating. I carry the scars of waking up one morning - after seven weeks of bed rest - to find that Melissa was in grave danger. I carry the scars of nurses flooding my room that morning, and telling me they had to get me to the OR immediately. I carry the scars of thinking, "This must be it." I carry the scars of promising both of my girls that if they would just continue to fight, that I would spend the rest of my life fighting for them. I carry the scars of being told that Melissa just couldn't fight anymore. I carry the scars of holding my firstborn child as she slipped from the arms of her mother into the arms of her heavenly Father. I carry the scars of sitting next to Ann Catherine's bedside, and begging her to fight. All one pound, 15 ounces of her. I carry the scars of waiting for the results of brain scans, heart scans, hearing tests and eye scans - and just holding my breath. I carry the scars of falling to my knees in my closet and asking God, "Where are you?? I'm down here drowning and I feel like you left me!" I carry the scars of feeling like my faith had been shaken. I carry the scars of knowing all of my daughter's earthly belongings fit in one small box. A box that contains all I physically have left of her. I carry the scars of guilt and years of wondering, "Was there anything I could have done differently to save her?" I carry the scars of becoming pregnant again, and begging God not to take this child, too. I carry the scars of being afraid to bond with that child over those nine months, because I was so sure she was going to die. I carry the scars of knowing that someone is missing from our family. I carry the scars of knowing that Ann Catherine lost a part of her the day her twin sister died. I carry the scars of knowing I have a daughter who I will never see grow up. I'll never see her graduate from high school or drive away to college. I'll never watch her get married. I'll never watch her have children of her own. I carry the scars of learning what it means to truly trust Him when everything you believe in and love has been stripped away. These scars will never go away. I will never be truly healed in this lifetime. But, we can live with scars. We can take that pain and we can use it to help others. We can take the worst thing that ever happened to us, and we can use that pain to love others who are also hurting. Those scars have made me who I am. I have an empathy for those who could never have children. I hurt for those who get pregnant, and then it all goes wrong. I ache for those mothers who won't hold their babies again until they see Heaven. I mourn with them, I hurt for them, I pray for them. We have something in common. Our scars. More than anything, I want Ann Catherine and Lily Baker to see my scars. I want them to know that bringing them into this world wasn't easy, but nothing worth having ever is. I don't want to create some fake version of the "perfect mom" who just accepted every bad thing that came her way. I want them to know I was devastated. I want them to know I had it out with God several times. I want them to know that I asked "why me?" I want them to know that sometimes - even 10 years later - it still doesn't make sense to me. I want them to know that I will never be the same person I was before I was wheeled into that hospital on April 15, 2005. And do you know why I can have those feelings? Those questions that still tear my heart apart? It's because Jesus had scars, too. And because of his scars, I can carry mine. I can live with them. I can bear them as a symbol of what it means to love and to lose and to grieve and to cry and to, ultimately, be happy again. And I can do that because the one who holds my future - and the one who holds my daughter - had scars, too. And because of his scars, I will hold her again. His redemptive work at the cross makes it all possible. The same cross where he received his scars. For us. My favorite verse is 1 Peter 5:10: "And the God of all grace, who called you to his eternal glory in Christ, after you have suffered a little while, will himself restore you and make you strong, firm and steadfast." I cling to that promise. Listen to how the Message describes it: "Keep a firm grip on the faith. The suffering won't last forever. It won't be long before this generous God who has great plans for us in Christ - eternal and glorious plans they are! - will have you put together and on your feet for good. He gets the last word; yes, he does." I am so thankful for a God who gets the last word. He is still "putting me together" and I have no idea how long that will take. Until I see him, maybe? I have no idea, but until that day, I'll carry these scars as a sign of his love, his mercy and his grace. Because these scars have made me who I am. I woke up this morning and looked at the clock. I immediately knew it was June 1st. 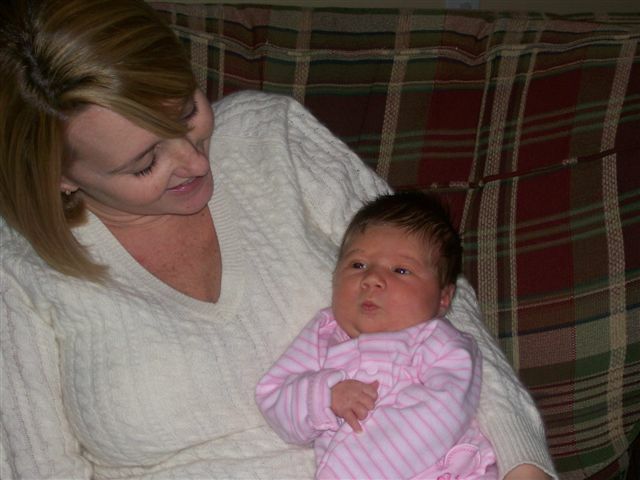 Ten years ago, Melissa Suzanne and Ann Catherine had just entered the world. 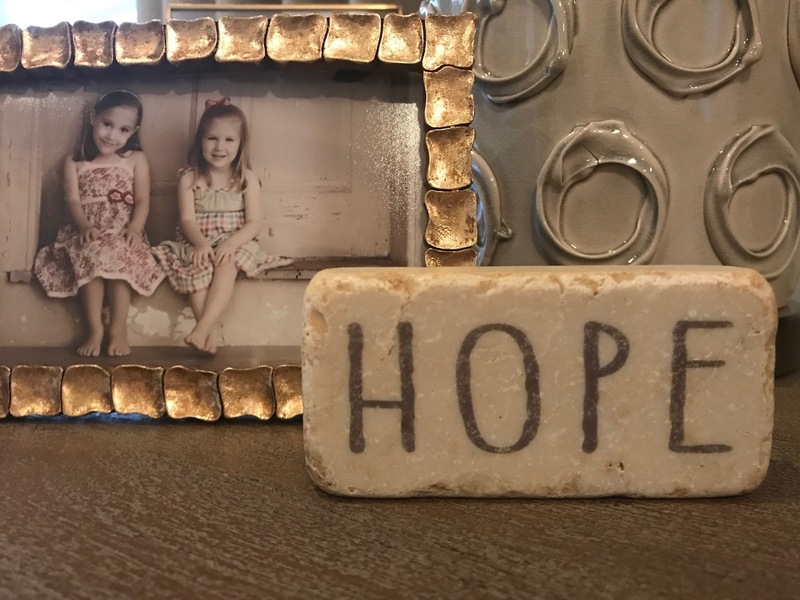 Melissa at 6:18 a.m. and Ann Catherine one minute later at 6:19 a.m. As I lay in bed, I thought about how they were probably already in the Neonatal Intensive Care Unit at Huntsville Hospital for Women and Children by 6:35 that morning. I was under anesthesia after an emergency c-section and was unaware that they were both fighting to live, but Chris was with them every moment after they took their first breaths and accompanied them to the NICU. I wondered what those moments must have been like for him. He had to shoulder it alone while I was in the Operating Room. I hate that I couldn't have been with him - and with the girls. Then I tried to remember, what time did she die? My mind began grasping at times. Was it 7:52 a.m.? 8:08? 8:32? For some unknown reason, I couldn't remember. I lay there wracked with guilt. Honestly, what kind of mother can't remember the exact time her daughter died?? Those hands on the clock, forever frozen in time for us on that day, would become the catalyst for all we would do in Melissa's name. It would become the catalyst for how we lived from that moment forward. It changed our lives in such a profound way. It led to our "new normal." And now, ten years later, I couldn't tell you the time she died. I was in anguish. Why couldn't I remember?? I slowly began to realize why. It wasn't because I had blocked it out. It wasn't because time - ten years to be exact - had made it less meaningful for us. It was because that time on a clock doesn't define my daughter. Her death doesn't define her. When Melissa died, our world went black. I felt dead on the inside. I remember telling Chris, "I feel like someone has stolen my joy, and I don't know how to get it back." It was a pain like I had never experienced, and to this day, I haven't again. I didn't want to sleep, because every time I closed my eyes, I saw her. And when I was awake, I thought about her constantly. I wanted to close my bedroom door and stay there forever. How in the world was I supposed to go out among the living when I felt like I had died, too? And during that time, the most painful time of my life, God revealed something to me. The best way I could honor Melissa's memory was to live. I don't mean to just breathe. I don't mean to go about my daily life with a smile on my face while I was an empty shell on the inside. I mean to really live. To embrace life. To laugh again. To find my joy. To be the mom and wife I was meant to be. And to do all of the things she never could. 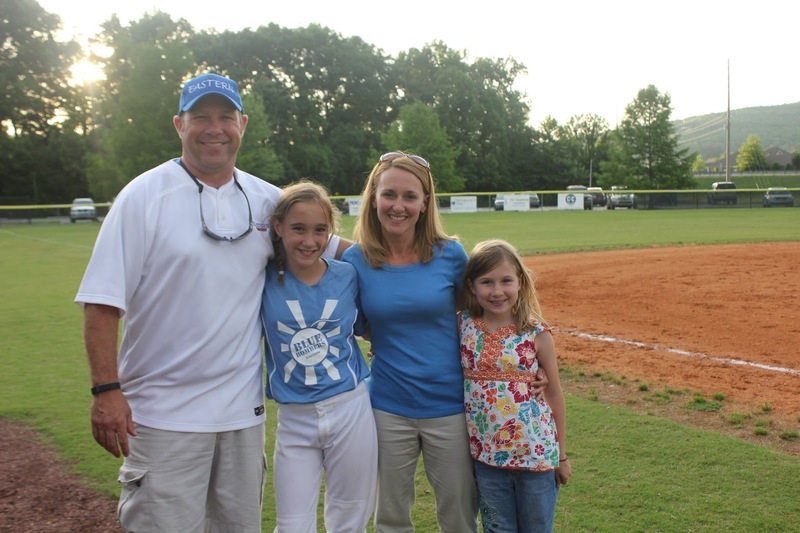 What better way to honor Melissa's memory than to live? It's the one thing she couldn't do. I felt that way last week when I ran my first 10K in memory of her. I feel it every time I watch Chris and Ann Catherine play catch in the backyard. I feel it every time I watch Ann Catherine on the softball field and the volleyball court. And I feel it when Lily Baker dances. Lily Baker had her recital this weekend. Her ballet dance was to the song, "You'll Be In My Heart" from the movie, Tarzan. You see, God doesn't deal in coincidences. That has always been the song that makes me think of Melissa. Then a few years later at Ann Catherine's first Swim for Melissa, the DJ played it while she swam her laps. And now, here was Lily Baker on stage dancing gracefully to "our song." The one that Melissa and I share. I sat in the audience and sobbed as she danced. My God is so amazing. Over the last ten years, He has allowed me to see "glimpses" of Melissa in our every day lives. And this was just another example. She would never be able to dance on this earth, but her sister can. And on that night, she danced for her. As I lay in bed this morning thinking of this, the floodgates opened. I began to mourn the child I would never see grow up. And I allowed myself to have those moments as Ann Catherine still slept in her room. Chris walked in and laid on the bed with me as we cried together. When you've shared the loss of a child, you learn to communicate without words. A few moments later, I finally spoke. "What time did she die?" Chris was silent for a few seconds and said, "I'm not sure. It was a few hours after she was born." He knows me well enough to know I would never be satisfied with that answer. He got up and I knew he was going to check her death certificate. Moments later, he came back and said, "8:44." 8:44 a.m. Of course. It was so clear to me now. I wondered how I had ever forgotten it. And then I forgave myself. Those numbers on the clock don't control me any longer. Yes, they are significant. Yes, they are important. Yes, they were life-changing for us. But, they are not as important as 6:18 a.m. Because that is the moment my firstborn came into the world. That is when it all began. Her life is what matters. Her life is what changed us. Her life is what makes me want to be a better person. Her life is what makes me want to live my own life with joy, and grace and full of love. Her death doesn't define her. And it no longer defines me. And I have no doubt she would want us to live that way. One of Ann Catherine's favorite songs is "Do Life Big" by Jamie Grace and it truly embodies who she is. Ann Catherine lives life BIG. She loves big. She plays big. She celebrates big. She mourns big. She just lives life so big, and sometimes I wonder if that was born out of how hard she had to fight in those early days just to live. I want to live that way, too. I want to live life BIG. What better way to honor my sweet Melissa. Happy birthday, baby girl. Today, we will celebrate your life. And we promise to spend the rest of ours living big. My very first post on this blog, almost six years ago, announced the arrival of my third child - Lily Baker George. Tomorrow, that baby goes to kindergarten. Lily Baker came into this world looking, as my friend once told me, "like her daddy spit her out." She was the most laid back baby, probably out of necessity since Ann Catherine was only 17-months-old when she was born. She grew into a very funny child, a child who often uses humor to diffuse uncomfortable situations - or to try and get out of trouble. She constantly makes us laugh. She is also incredibly independent for her age. She is full of confidence. I have often said about her, "I could drop Lily Baker into any situation and she would swim - not sink." I have always loved that quality in her. It may prove to be my undoing tomorrow. She is just so ready for kindergarten. She walked into orientation Friday with her backpack on her back and her nap mat in her hand, and she refused to let me help. She walked into her room, said hello to her teacher, found her name and her seat and began unpacking her backpack like she had been doing this for years. She didn't need - or want - my help. I thought I would cry right then and there. It was hard enough when she graduated preschool in May. She just looked like such a big kid on that stage. Now, we're heading off to big kid school. To make matters worse, she proclaimed this week that she didn't need to sleep with Bunny anymore. Those of you who know her well know what a big deal that is. For those of you who don't, let me clue you in. 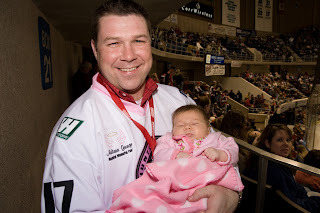 Chris' parents gave Bunny to Lily Baker when she was a baby. Every night since, for 5 and a half years, she has slept with Bunny. Every. single. night. Bunny has gone everywhere with us - hockey games, church, preschool, even a Wiggles concert. And that's not all. Bunny was LB's security. 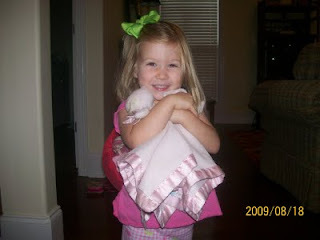 If LB got scared, she wanted Bunny. If LB got sleepy, she wanted Bunny. At first, Gammy and Gramps gave Lily Baker two Bunnies, so we always had a backup. We lost one a year ago and, since then, I've lived in panic that we might lose our only one. Bunny was Lily Baker's best friend. In fact, I've always joked that Lily Baker would walk down the aisle at her wedding with Bunny stuffed underneath her bouquet. So to tell me this week that she no longer needed Bunny? Well, that was more than this mommy could take. Here's the deal. We all want our children to progress and move to the next stage. That's the point, right? But when it's the baby, it's just so....final. It's the true ending of a chapter. It means you are moving from a phase of life and you can never go back. I remember Ann Catherine's first day of kindergarten. I cried, but not for the same reasons that most moms cried. Yes, I was sad about my little girl growing up, but I was also filled with grief that Melissa wasn't there to start kindergarten with her. Each milestone of Ann Catherine's life is filled with a little bit of sadness for us because it's a reminder that Melissa isn't here. I remember when I left school that day, I couldn't get to my parents' house quick enough to get Lily Baker. I scooped her up and hugged her as soon as I walked in the house. She was my saving grace that day. Ann Catherine had moved on to kindergarten, but I was okay because Lily Baker was still at home with me. Tomorrow, I'll leave them both at school. But, as He always does, God speaks truth into my life during these moments. At church this morning, we sang, "Mighty to Save" which is one of the songs that has always spoken to me since Melissa died. And I began to think of her as we sang. And I realized what a gift it is to have a child starting kindergarten. I mean, she's growing up. And as hard as that is, do you know what a gift that is? Do you know how many parents would give anything for that gift? I do, because I'm one of them. I would give everything I own to walk two little girls into a second grade classroom tomorrow, instead of just one. I would give everything to be stressed that my twin girls are starting second grade tomorrow. Growing up is a treasure. That doesn't mean it isn't hard for mommies and daddies. It doesn't mean I won't cry tomorrow when I leave Lily Baker in her kindergarten classroom, because I will. And I will probably cry the whole way home. At the same time, I will thank God for this precious gift of time. I will thank Him for allowing me to raise these beautiful girls on this earth. I will thank him for this milestone of watching them move to kindergarten and second grade. I will thank Him that they are growing up. There are so many moms who would give anything to have those gifts. And I'll try and put it in perspective. It could be worse. Instead of starting kindergarten, my baby could be leaving for college tomorrow. Because when that happens, I really will need a therapist. Last week, I took my girls to the beach for a very last minute trip. I looked at the calendar, realized school and Swim for Melissa were only weeks away and called and told my mom we were coming to see them. Our first morning there, I was on the balcony overlooking the beach having breakfast with my parents as the girls and their cousins ate inside. As we finished, my dad said, "Amy, Ann Catherine told me this morning she had a dream about Melissa last night. She dreamed that she came to swim at Swim for Melissa." My mom and I both agreed that wasn't out of the ordinary. After all, our summer revolves around preparations for Swim for Melissa. It's a constant source of conversation at our home and our girls are right in the middle of it. It really didn't seem strange to me that she would be thinking of Melissa. I thought about it more as the morning went on. And the more I thought about it, the more I realized I needed to talk to her about it. I felt I had missed an opportunity to explain something to her. I called her into my bedroom and as she entered she looked at me and said, "Am I in trouble?" I love that children always assume that when you want to talk to them. I laughed and said, "No, but sit down. I want to talk to you about something." She stared at me with a look that said I still think I'm in trouble. I patted the bed and said, "Come sit down with me." She did as she was told. Then I said, "Poppy told me you had a dream about Melissa last night." I might as well have said, "Poppy told me you like chocolate." She looked at me as if to say, "Of course I did." "Can you tell me about it?" I asked. "Sure!" she said excitedly. "I dreamed that we were at Swim for Melissa and Melissa came down to swim with me. And Jesus was there, too." I smiled at the thought. "Well, you know what?" I asked. "Part of that is true." She looked at me as if she didn't understand. "Melissa won't physically be there," I continued. "As much as we wish she could be, we know that isn't possible. But, she will be swimming that day because she's in your heart. Every lap you take, she will take with you. You won't see her and you won't be able to touch her, but she will be there. I promise you that." She smiled and gave me a big hug. Then she said the words that hurt every single time. "Mommy, I wish Melissa could live here with us." "So do I baby," I answered, fighting back tears. And then I went back to what I know. "But you know what? We will see Melissa again one day." She perked back up. "That's right, mommy! We'll see her in Heaven!" Then she thought for a moment and said, "You know what I think, mommy? I think Melissa will be doing Swim for Heaven in Heaven while I'm doing Swim for Melissa. Isn't that cool?!" I agreed that it was and, with that, she hopped up and ran out of the room to play with her cousins. I've thought about that conversation so many times this week. Oh, how we miss that little girl. Oh, how we ache and grieve that she can't grow up as part of our family on this earth. But, I refuse to live in sadness. I know, without a doubt, that Melissa wouldn't want that. She fought way too hard to live for me to stop living here on earth. So this Saturday, I will clap and cheer as children jump into the pool to swim laps for premature babies. I'll tear up as little ones who don't know what a NICU is tell me they are swimming to "help tiny babies." I'll feel my heart swell with gratitude at the parents who spent this Saturday teaching their kids about something bigger than them, when they could have been laying around at home. I'll cry when my own children plunge into the pool. I'll feel so incredibly blessed that after so much sadness, God put these two amazing children in our lives. I'll grieve that Melissa isn't here, but I'll thank God that her short life was the catalyst for all of this. I'll feel sad that she isn't physically here to celebrate this day with us. I'll feel gratitude that God chose us to be her parents. I'll feel her presence and spirit surround everything we do. And as I watch Ann Catherine swim with her team, I'll think of what she told me last week. I'll imagine Melissa swimming her own laps in Heaven. I'll imagine her doing something that she never would have been able to do here on earth. I'll know in my heart that she'll be swimming every lap alongside her twin sister. And I will know, beyond a shadow of a doubt, that Ann Catherine is swimming for her. With every breath, and every kick, and every lap, she'll be swimming for Melissa. Because that's what twins do - they stick together. And my girls are no exception. Don't get me wrong. I love the lantern from Pier One and the Terrame gift card that Chris and the girls gave me for Mother's Day. This year, Ann Catherine made me this box and asked me to put my rings in it. Lily Baker promptly put her "Hershley" kisses in it. Lily Baker gave me a bookmark with her precious little handprint on it. And Ann Catherine made me this. Later this morning, Ann Catherine came in as I was getting ready for church. "Mommy?" she said. "Do you know why I wrote this sentence?" She pointed at the one that read "My mom will always be with me forever." "Well," she said. "It's the same way I feel about Melissa. You know, how she's always with us and always in our hearts? That's how I feel about you." I was speechless. I just hugged her and she danced off into the next room, oblivious to the mark she had just left on my heart. I can't count the times that God has used Ann Catherine to speak truth into my heart concerning Melissa. There have been so many times that she has said the right thing at the right time to me. I don't believe that's a coincidence. I had grieved Melissa deeply yesterday. As I showered, the loss I felt in my heart hit me like a ton of bricks. I cried. And I cried. And I cried. I felt a heaviness that I couldn't shake. Mother's Day does that to me sometimes. I grieved her at church this morning as we worshipped. As I have so many times, I held on tightly to Chris' hand with tears streaming down my face. I'm telling you, that man is my rock. I am so grateful that he is in my life. I can't count the times I've leaned on him - physically and emotionally - in the last seven years. This morning, when Chris and the girls gave me my gifts I thought my heart would burst from happiness. At the same time, there was a sadness in my heart. It's hard to explain how those emotions feel when they battle it out. It's not that I'm miserable on Mother's Day. 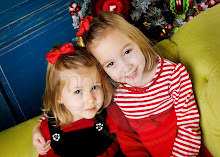 I am so grateful for Ann Catherine and Lily Baker and for the chance God gave me to be their mommy. At the same time, I miss Melissa deeply. So deeply it hurts. That's why Ann Catherine's timing could not have been more perfect. I needed to be reminded that even though Melissa isn't physically here, she is here. She's alive in our family. She's alive in our memories. She's alive in our hearts. She will "be with us forever." As long as we are separate from her on this earth, she'll live in our hearts. Her spirit will permeate everything we do. And one day, we truly will be with her forever. I love how God uses my children to remind me of these beautiful and precious truths. I love how they remind me that I can have hope in the midst of sadness. It was such a simple sentence that she wrote. It's something we have said to her countless times. How amazing that she used it to teach something to me on Mother's Day. Ann Catherine and Lily Baker - Sisters Forever! I would love to hear from you! If you want to schedule a speaking engagement, learn more about Melissa's Fund, or just want to say hi, please email me at amysblog@comcast.net. 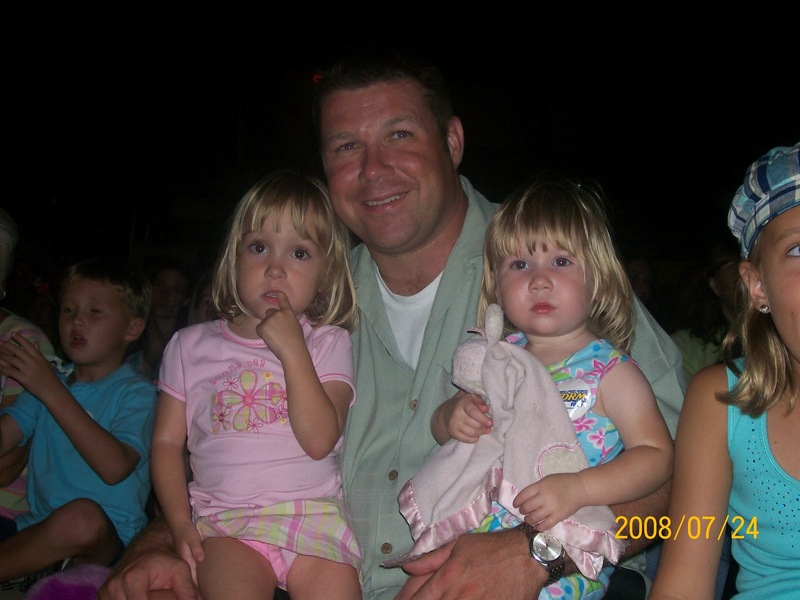 I am the mother of three amazing little girls: Melissa Suzanne, Ann Catherine and Lily Baker. 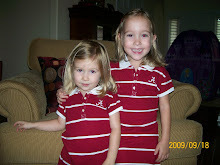 Melissa and Ann Catherine were born 14 weeks early in June 2005. Melissa passed away shortly after birth and Ann Catherine spent 68 days in the Neonatal ICU at Huntsville Hospital for Women & Children. My husband Chris and I established the Melissa George Neonatal Memorial Fund to raise money to purchase lifesaving equipment for the NICU. Our passion is ministering to the families of premature infants, and those who have lost children. We believe God led us on this difficult journey to use our experiences to glorify him and help others.